Is the Head Covering Optional? 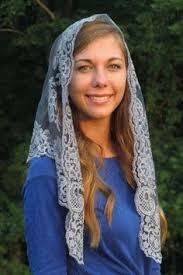 I grew up going to a church where no one wore a head covering and never thought twice about it. Probably you did too, or maybe you belonged to a conservative group where it was the custom to wear some sort of veil at least in public religious services. Is it really necessary: or is it a tradition that has more or less fallen by the wayside? What do you think? I’d love to hear your opinions. Why did women wear it for so many years, no change that to centuries if it was just, well, fashion? Some folks seem to enjoy reading excerpts from the book I am writing, so I’ll update you once again. T hree years went by, and the twins were still separated. Margaret listened; for once the children were quiet. It seemed they had settled down nicely for their naps, the two younger ones, that is, and Davey Juniour wouldn’t be released from school for another hour or so. 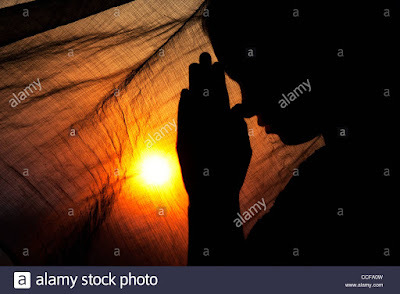 She reached for her Bible on the nearby nightstand and took the latest letter from Marita out from just inside the back cover and clutched it in her hands while bowing her head in prayer. The much read letter was already a year old so Margaret carefully unfolded the sharp creases to read it once more. I can’t bear to tell my dear mother-in-law what we are going through so hope you can take it since I feel I would crack up if I couldn’t share with someone! Randall’s out of work—again, has been for three months this time. In a way I am not sorry he lost this job but we are in desperate straits. He had had an epileptic fit while on scaffolding and fell. The job wasn’t waiting for him when his leg finally mended. Sometimes I am at my wits end to know how to respond to him. We are hungry nearly all the time but I know he finds enough money to spend on beer. How long must I excuse his behavior on the war? Does David sometimes seem to be unreasonable---still? Oh, Margaret, what can I ever do? I would offer to take in babysitting but our one room suite and half bath are far too crowded to entertain extra children. Thank you so much for the gift of money you slipped in your last letter. Oh, Margaret, it’s a good thing Randall wasn’t home when the mailman arrived with the cash. I bawled buckets and Emily was all over me trying to comfort me so I tried to tell her they were happy tears. I hope I can someday repay you. I have to dole it out slowly so he won’t get suspicious and wonder where it came from. As it is I have to hide it because he rifles through my purse in the vain hope I’d have some money stashed away. So far I have only bought a small bag of oatmeal and some powdered milk with the money, and oh yes, a bag of carrots because they keep for a long time in the icebox, we won’t go hungry for a while. Emily is healthy, for which I thank the Lord. Her sweetness and innocence helps me to trust our Heavenly Father more. I have much time on my hands so often turn to Mum-in-law’s Bible in time of need. I still worry a lot and get sharp with Randall way too often, but I’m glad I have Emily and I’m glad I have God. P.S. 2. We are in Vancouver now, but I’m sure we will be moving soon. Margaret refolded the letter then gently placed it back between the worn covers of the Bible. She sat lost in thought until her burdened heart caused her to slip to her knees in prayer. She laid her head on her arm. It was obvious that Sally would have gotten the milk out of the refrigerator because Emily was too young to handle the door. 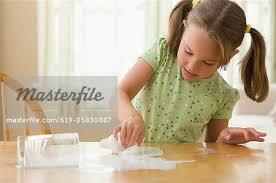 Emily was on her hands and knees scrubbing the floor with a tea towel. “Emily, wait for Mommy to pour your milk for you okay”— she almost called her ‘Sweetie’ again but then remembered it was too easy to favor the daughter of her troubled friend over the other two. Margaret was thoughtful, prayerful, as she tended to her motherly duties . They walked to the corner to meet Davey and he prattled joyfully about his day at school, but she hardly heard him. David came home two hours later and once again Margaret was so thankful that the man she married had a steady job as a mechanic. There were still far too many veterans drifting aimlessly through life, addicted to the bottle, and not coping well with their violent past. David seemed to be so steady in comparison. Who Told You God Was a Hard Task Master? Who Dared? I like to spend time with God first thing in the morning. These days it`s the topic of choices that caught my attention, and what the Bible has to say about them. Did you know that in Deuteronomy we are encouraged to bring our choicest offerings? Well, knowing me, that got me curious to know what was being referred to, so I hauled out the good old Matthew Henry`s commentary which is great source for inspiring observations. I was surprised that way back in the Old Testament times already God wanted us to worship Him with holy joy. Our soul is nourished when we come before Him with a thankful heart. That`s when we are best able to commune with Him and He fills us with the desire to have our faith and spiritual understanding increased. He fills us with a longing to become more and more like Him in every deed and action. So what is the choicest sacrifice? Holy joy, thankfulness.